Another good turnout last Thursday at Palasad South. Registrations are up to about 45 players with lots of new (and younger) faces. What with the usual suspects that don’t think that they need to register before the last possible moment we are pretty well assured of 4 teams already and possibly 5 or 6 depending on a further influx of new players. Be aware that more than 4 teams is not a given – we may decide to cut registrations off at 64/ 4 teams depending on goaltender resources and coming up with a workable scheduling arrangement for >4 teams. If you haven’t contacted Russ Allan to confirm a registration spot ahead of time, you may be out of luck if spaces are no longer available. If the City of London gets the ice out fast enough and releases the floor, we will start Wednesday April 16, 2014 8:00pm at Kinsmen. Further (last minute) registration will occur at the arena. Bring your cheques/cash – online insurance registration capability will be available at the arena. The plan, as in the past, is to run an informal pickup game for the first couple of weeks so that we can see who is showing up and the skill level of the newer faces. After 1 (or maybe 2) weeks of informal pickup games, teams will be chosen and full games will commence. So, for the players that have registered, come out planning to play at 8:00pm. For the laggards, come out for 8:00pm to register and plan to play afterwards. If the floor is not ready for lacrosse use by Wednesday Apr 16, we will relocate to the Alibi Roadhouse, just up the street at 25 Oxford St West to take further registrations and, as usual discuss …lacrosse! Watch the website for further information as it becomes known. Good turnout last night – about 20 registrations plus 5 new players – pretty good for an earlier than usual registration in the middle of March break. Next registration will be in approx 2 weeks, likely in the SW corner of the city. More details shortly after we confirm a location. See you then. 2014 REGISTRATION #1 – Tonight Thursday March 13, 2014! Lots of notice but why plan ahead, no one really likes long term planning! do they? The plan is to get reversible pinnies for summer 2014 showing the LaxWolf logo. Matching shorts and wicking, shooting shirts will also be available for the fashion conscious crowd. More details to follow. Comments, opinions, graphical input, stepping up and volunteering to look after our image reboot – all are welcome – come out to the registration and tell us what you think! Hmmmmm, this WordPress thing is pretty powerful – easy to post but not so easy to figure out how to make things look pretty. As our image (and how pretty we are going to look in 2014 – see next post) is mission critical, some work definitely needs to be done on the website. Anyone with some WordPress experience is welcome to provide some input and assistance. Email or come out to registration to discuss. Marvelous what deadlines can accomplish – registration tonight, and long hours the day (and night) before trying to figure out how the internet works (or not) and why stuff that worked a couple of months back now gives cryptic error messages and the cloud has no idea who or what londonmasterslacrosse is! 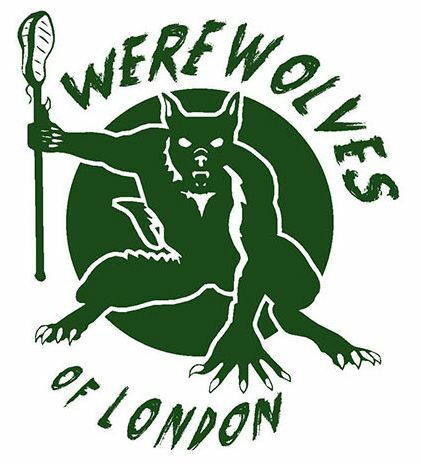 Anyway, after a lot of wailing, teeth gnashing, swearing and… website is all fixed (at least good enough for today) updated, uploaded and ready to move us into the brave new world of London Masters Lacrosse v2014!